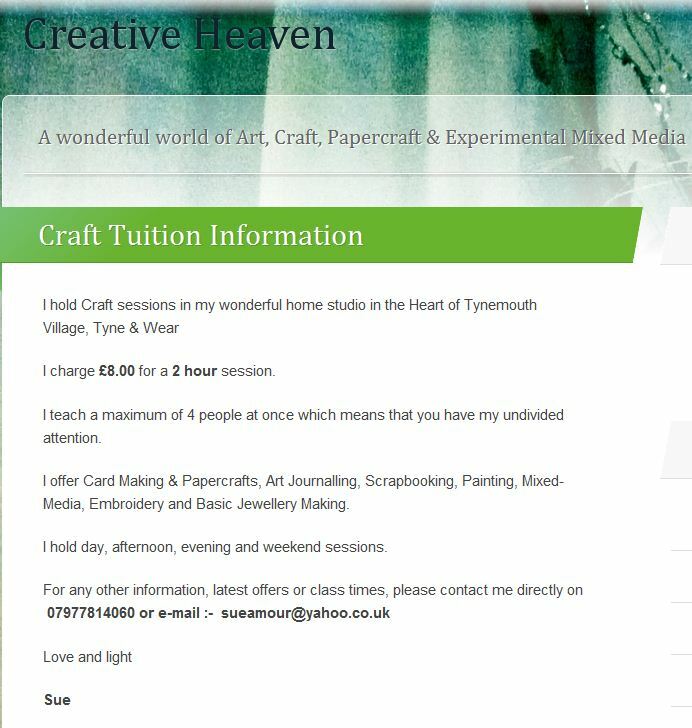 Spent time today making this page for my “CREATIVE HEAVEN” blog. I also spent several hours designing and ordering some new postcards from Vista Print. If you are interested in coming to a class, why don’t you give me a ring.